When it comes to your wedding, you shouldn’t leave anything to chance. Many couples plan months in advance, and taking the time to find the perfect venues for your wedding is essential. However, it might feel daunting to choose a wedding reception hall that meets your every need. Here are some tips and ideas for choosing a banquet hall for your wedding that provides you with the peace of mind you need and the attention your wedding deserves. Is your wedding going to be extravagant or intimate? The size of your attendee list may drive which type of venues you are looking to host your reception. A large party may be cramped in a small reception hall, and a smaller wedding party may feel a little intimidated if the venue is too big. Make sure you know ahead of time the estimated number of guests you’ll be hosting in order to have a good experience and a memorable event. 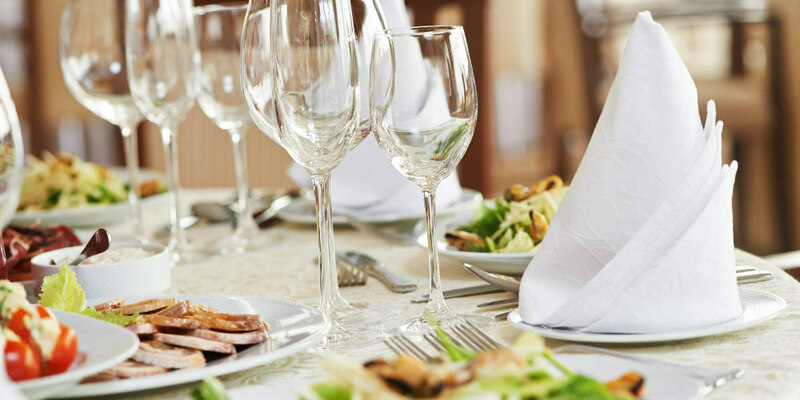 You only have one chance to get the wedding reception food right, and picking a wedding reception hall that offers great food options is crucial. 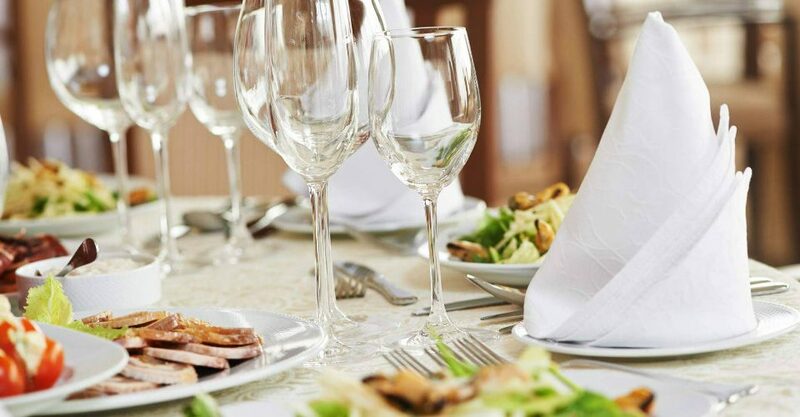 If your guests have specific dietary needs, or you wish to have specific types of traditional food, make sure your venue can accommodate this through its catering services or partners. The best option, of course, is to pick a venue that offers both the space you need and the food you desire for your special occasion. If you want your wedding reception to include a formal sit-down dinner or other traditions that call for a tranquil reception area, it’s important to know if your wedding reception hall will suit this need. Likewise, if your reception goals are to have a high energy party full of dancing, you will need a venue that can host such an event. Talking about your event with the venue’s events team can help you meet the goals you have in mind and bring your vision to life! Have you narrowed down your wedding reception venue list? If so, it’s time to see what others have to say! Reading past reviews can help you decide which venues are worth exploring and which ones have red flags you should address when talking with the event coordinators. Review sites like WeddingWire or The Knot have numerous reviews from real-life couples that have been in your shoes and can offer insight into the spaces that have made your final wedding reception hall list. Reviews can also offer information you might not have considered, such as the value others received from hosting their wedding reception at a particular banquet hall. Uncover what’s special about each venue, then make a decision based on your budget and goals. For the perfect wedding reception hall that offers catering and value for weddings of all sizes, contact The Christy at 314-352-4800 to speak with an event coordinator who can answer your questions.